Disgraced Italian Romano Fenati has been offered quick redemption, and will be back in grand prix racing next year. As part of his “fresh start” contrition, however, the 22-year-old is returning to Moto3. 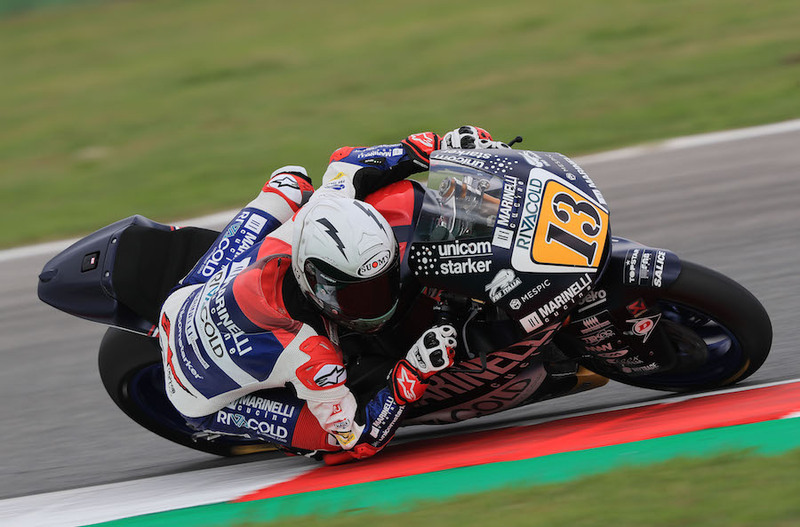 Fenati earned universal opprobrium and made the international press for an incident during the San Marino GP at Misano in September. Enraged at being put off the track by compatriot Stefano Manzi, he leaned across and squeezed his rival’s front brake lever, faithfully recorded on camera. He was instantly disqualified and his licence suspended for two races, but the punishment escalated over the coming weeks, as he was sacked by his team, dropped from his 2019 role with Forward Racing/MV Agust, then had his licence cancelled for the rest of the year. He said at the time he was giving up racing, and going to go back to school. Talent will out, however, and less than three months later it has all turned round again, and the same Marinelli team has employed him again. Fenati has 10 Moto3 wins since 2012, and was championship runner-up in 2017, But he has a reputation for anger-management issues, He was sacked mid-way through 2916 by the VR46 team for his indiscipline in the pits; and officially punished for kicking out at Niklas Ajo, then flicking his kill switch in the practice-start zone, in Argentina the previous year.